Killer Tom Martens is to pay €160,000 ($180,000) to settle a wrongful death action taken in the US by the estate of murdered Irish businessman Jason Corbett (39). An outline settlement has been submitted to a North Carolina court and the proceeds will now go to Mr Corbett's two children, who are being raised by his sister and brother-in-law, Tracey and Dave Lynch, in Limerick. Molly Martens was dismissed as a party to the current proceedings, but she will not now benefit from a €530,000 ($600,000) life insurance policy on her husband. A further €17,500 ($20,000) will be paid to the children's trust fund by an insurance firm acting for Tom Martens (68) and his wife, Sharon. The settlement followed a lengthy mediation process and was without admission of liability. Tracey and Dave Lynch fought a determined campaign over the past four years to see justice delivered for Mr Corbett. The settlement of the wrongful death action is seen as a landmark victory for the brave Irish couple. Mr Lynch said he was relieved at the outcome. "Upon the advice of my attorney, I have agreed to accept the recommendations in the best interest of Jason's children," he said. "I welcome the independent trustee who has the appropriate skills to invest the funds in the children's best interest. It is a burden lifted, I can now focus on my family. Our next step is to go over and finally be able to sort Jason's belongings so we can hopefully retrieve some items of sentimental value to his family and children." Mr Corbett's sister said it was the end of a very painful time. "We are relieved as a family to close this difficult chapter and try move forward with our lives and focus on our children," she said. "Dave has always taken his fiduciary duties seriously and acted in the best interest of the kids - I am very proud of him. What we want now is to continue to focus on ensuring those responsible for Jason's murder remain in prison." 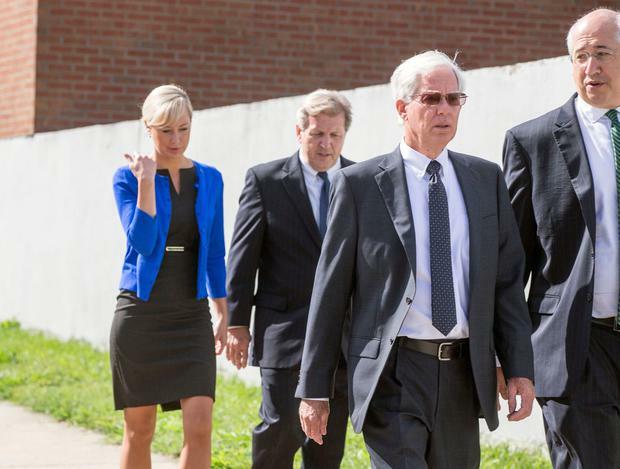 Tom Martens, a retired FBI agent, and his daughter Molly (35) were convicted of the second-degree murder of Mr Corbett in August 2015. Both are now serving 20-25 years in North Carolina prisons.